Kunzite ring with peridot in rose gold. This is a red gold bespoke ring inspired by apple blossom and spring colours. 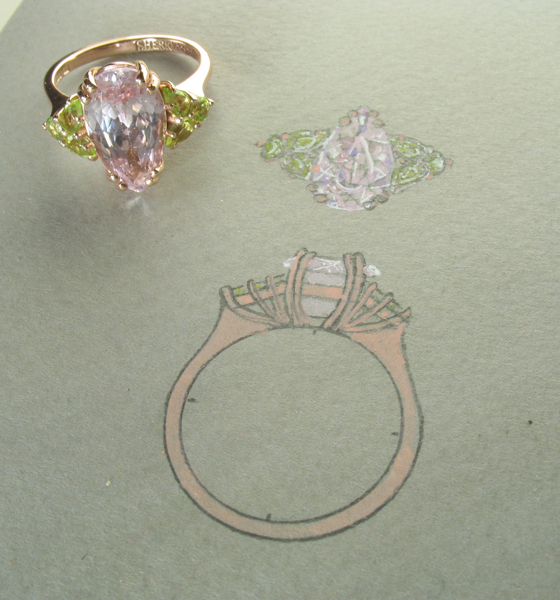 Kunzite ring with peridot is part of a series of jewellery we have designed, inspired by the beauty of apple blossom. The direct complimentary colours of pinky-reds and leaf greens have always struck a chord for me. One of our favourite clients gave us a very free reign to create a statement ring. She was happy to be guided by my suggestion of juxtaposing pink and green. We chose to use little pear shaped peridot to imply foliage. The 5.20ct pear cut kunzite is very well cut with sharp facets and crisp reflection. We chose rose gold for the ring body. 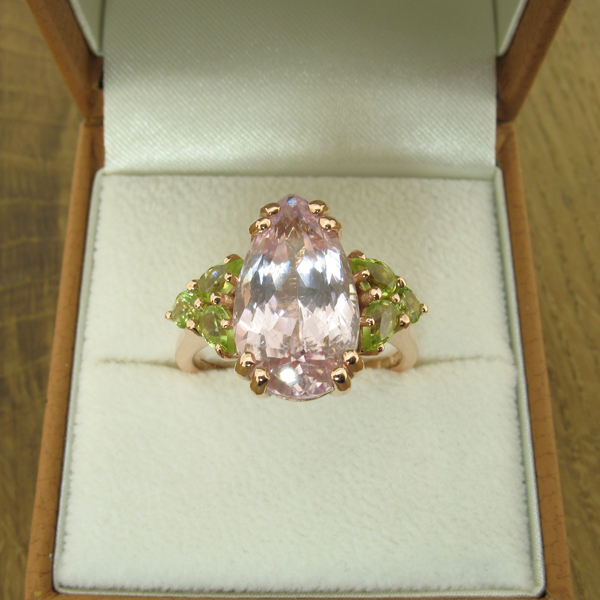 The warm coppery colour brings out the delicate pink of the kunzite gem. We’re going to create a series of jewellery based on apple blossom and the colours of spring. Placing opposing colours side by side for sharp contrasts.